Jessica Schladerbeck at the New York Daily News looks back at the Gambino crime family history. Before he was the inspiration for the greatest fictional crime boss of all time, Carlo Gambino was an illegal immigrant trying to rise to power during the height of organized crime. Gambino, born August 24, 1902, headed one of the most powerful families in New York and in part inspired the iconic character Don Corleone — the Godfather was also heavily based on Frank Costello. His journey to the top, not unlike those in the famous film series, is a tangled web of assassinations, power grabs and silent betrayal. 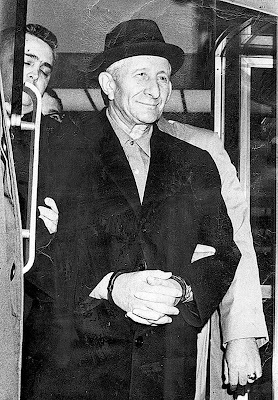 The Gambino Crime Family was founded by Salvatore “Toto” D’Aquila, who took over a gang of newly transplanted Mafiosi from Sicily after leaders Lupo Saietta and Giuseppe Morello were handed a 30 year prison sentence for counterfeiting in 1910.